Dubai Holding, a UAE investment conglomerate, said it has started renovation works at its Souk Madinat Jumeirah, an Arabian-inspired shopping and leisure destination in the heart of the Madinat Jumeirah Resort in the emirate. Set to be completed over the next three months, the enhancements work, which is part of a wider plan for the destination, will create a more convenient and seamless visitor experience, said a statement from the company. 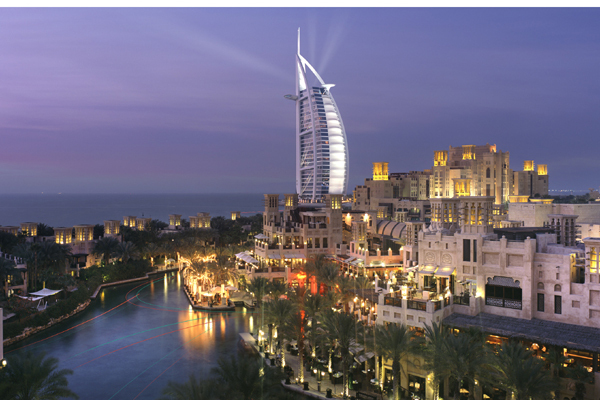 The destination is part of the wider Madinat Jumeirah Resort that features four luxury hotels with over 1,200 hotel rooms and suites, an extensive selection of restaurants, as well as conference and banqueting facilities, including two grand ballrooms, a 1,000-seat amphitheatre, and the multi-purpose venue, Madinat Arena. The facilities are interconnected by 3 km of waterways and landscaped gardens. Conducted in collaboration with Dubai's Roads and Transport Authority, and to be executed without impacting the access to the surrounding hotels or to the events taking place at Madinat Jumeirah, the renovations cover the interior areas and the main entrance, including the entrance to the conference halls. It will also include a complete redevelopment of the arterial roadways leading to and from the destination to optimise the flow of traffic and reduce waiting times for visitors arriving by car or bus, said the statement. A dedicated taxis entrance and queue line will be developed, in addition to a separate bus parking area to relieve congestion and provide a quick and smooth entry and exit, it added. Khalid Al Malik, the managing director of Dubai Holding, said: "Since its inception more than 15 years ago, Madinat Jumeirah has been a cornerstone of Dubai’s tourism industry, consistently drawing in millions of visitors annually." Dubai Holding is a diversified global company with operations in 12 countries employing over 20,000 people. It covers key sectors including tourism, hospitality, real estate, media, ICT, education, science, retail, industrial and design. "The current upgrade aims to not only improve the destination’s connectivity and infrastructure, but to also reimagine its core offerings and build on its reputation as one of Dubai’s most iconic leisure - and entertainment-led retail destinations," he noted. According to him, Souk Madinat Jumeirah seamlessly combines traditional Middle Eastern stands, barrows and stalls with a mix of contemporary boutiques, souvenir shops, and luxury jewellery brands.